It has been a rule of thumb that you should get your oil changed every 3,000 less, but it is now believed that it is enough to get your oil changed every 7,500 miles. If you are fuzzy on when you need to get your oil changed you can refer to your owner's manual or you can come stop by our Bakersfield dealership and talk to one of our technicians. It is always a good idea to check your oil when you do your regular re-checks to see what your oil looks like. Your motor oil should be clear like vegetable oil and not back or sludgy. How often you need to get your oil changed can also depend on how you drive. If you make a lot of short trips, for example, you may need to get your oil changed more often since short trips are harder on your ride. 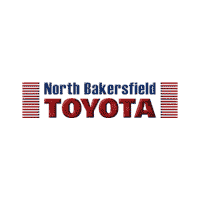 If you’re ready to learn the truth behind your vehicle’s oil necessities, our team at North Bakersfield Toyota is here to guide you in the right direction!